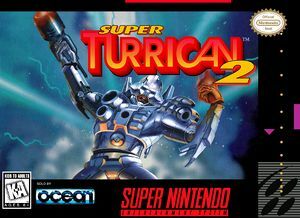 If you haven't played Super Turrican, chances are you won't last past the intro sequences of Super Turrican 2. As an intergalactic hero-wannabe commissioned to crush a venomous mutant armada, you are thrust into a chaotic world even more violent than the original. This time there are more enemies to torch (and be torched by)including the most heinous level bosses on 16-bit and enough Mode 7 graphic levels to make you wish mommy were there to hold your hand. The graph below charts the compatibility with Super Turrican 2 since Dolphin's 2.0 release, listing revisions only where a compatibility change occurred. This page was last edited on 21 February 2018, at 03:24.